If you’ve ever wanted to see the amazing RaMeC firewood processor in action, today is your lucky day! 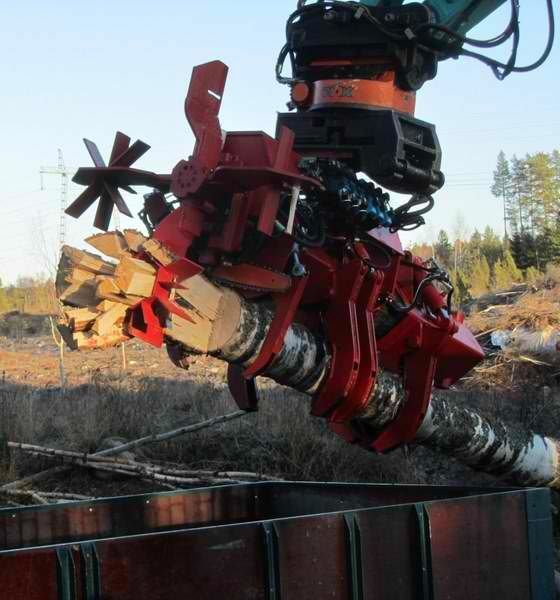 See this monster machine cut through tree trunks like a hot knife through butter at the video below. This complex piece of wood-splitting equipment is examined up close and personal, including an intimate look at its swing range, splitter head change and adjustment, splitter vertical adjustment, three separate jaws, two separate split cylinders and its harvester saw with adjustable speed and quick movement. No doubt, it’s the kind of impressive piece of machinery that every man who’s ever chopped firewood with an axe has longed for. Finnish company RaMeC (Raumec Oy) say on their website they are committed to giving customers a better product and a better return on investment than their competitors do, and it seems that the Firewood Processor may indeed be a best-in-class creation. It features a hydraulically controlled rotating wedge swivel bank that can process four unique cuts of firewood, and the harvester saw offers a fifth cut of neat round slices. 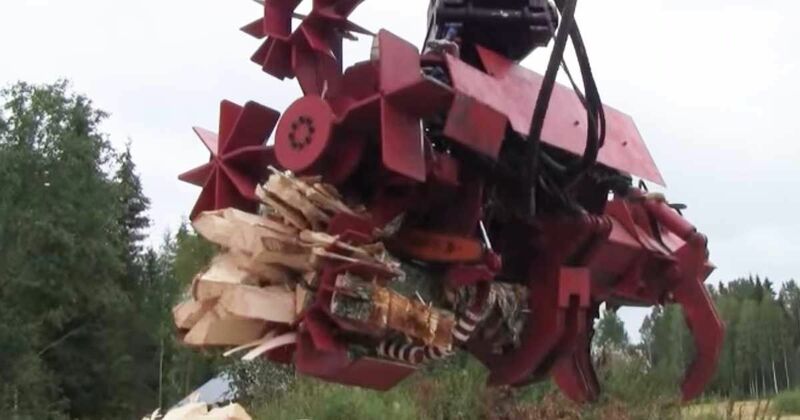 It can process wood up to 45 feet long, and 20” in diameter. The wood is grasped by three jaws and advanced by two split cylinders, eliminating the need for a log deck or conveyor. The harvester saw blade, essentially a fast moving chainsaw built into the processor, is designed to cut nearly any type of wood, and each section of wood is processed in just seconds. Attach the firewood processor to a harvester or similar equipment and you can conveniently process firewood at a job site over a container or truck, meaning no heavy lifting and loading required. The RaMeC truly is the ultimate woodcutting and splitting solution, and is incredible to see in action. Check out the video below, and SHARE it if you like it!